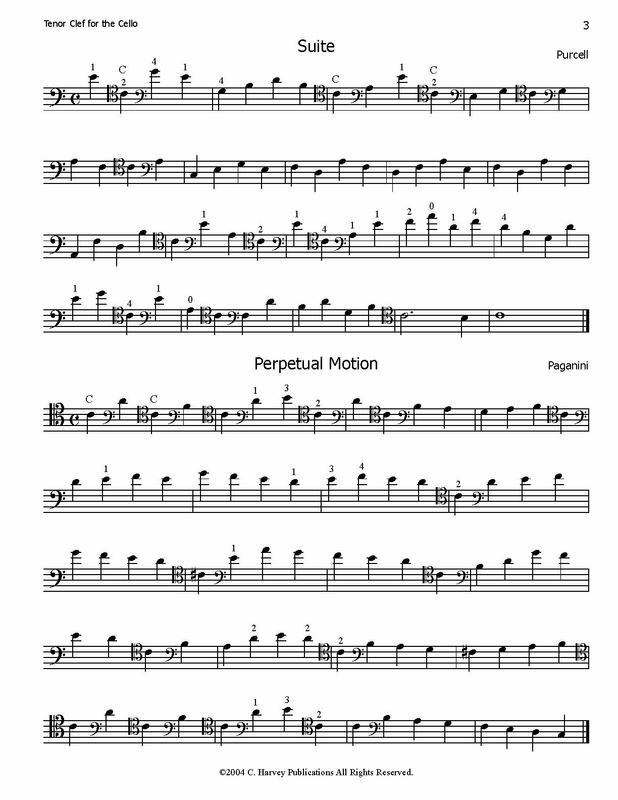 This book presents a systematic study of tenor clef for the intermediate cellist. 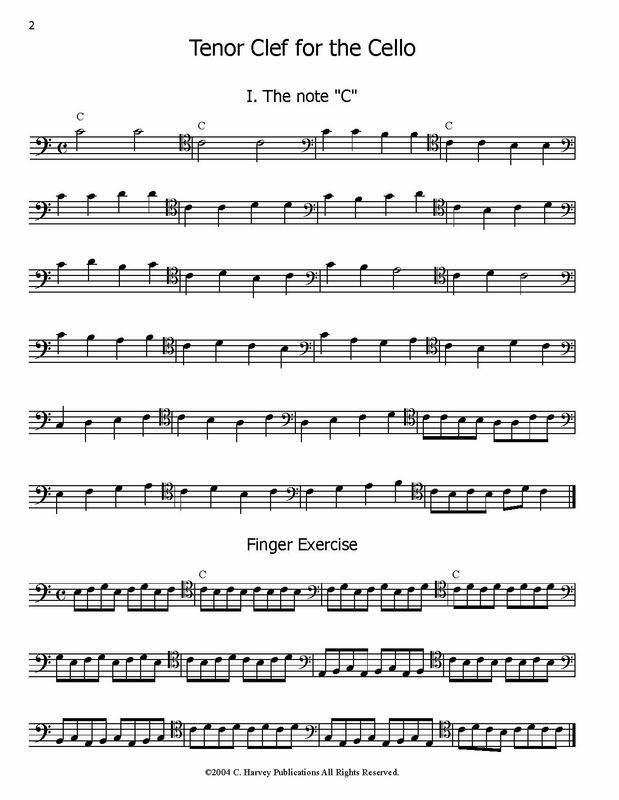 The exercises teach one or two notes at a time, while corresponding pieces utilize the notes that were just learned. Much of the book focuses on the transition from bass to tenor clef on the cello, as well as the relationship between the two clefs. Teachers can use this book as a method for teaching the clef to their students, preparing them for tenor clef found in many intermediate and advanced cello pieces, including Saint-Saens' Allegro Appassionato and The Swan, and Vivaldi's Cello Concerto in E Minor.